While retaining the look and heritage of Omega’s most famous chronograph, the new Speedmaster 38 Co-Axial Chronograph Black has several distinctive details. 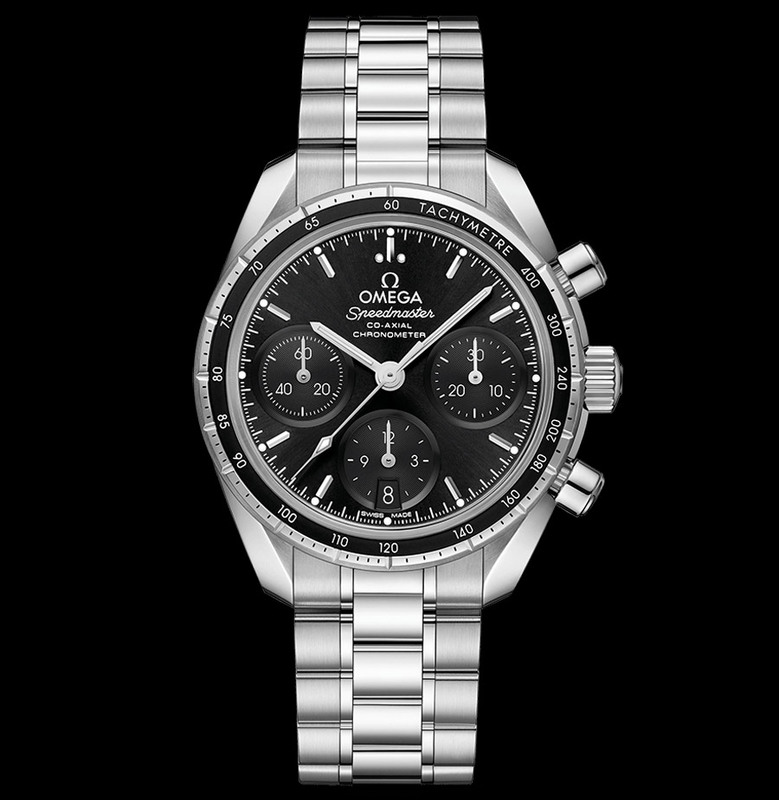 The stainless steel case has a smaller diameter of 38 mm and features a bezel which includes a tachymeter scale on a black aluminium ring. On the caseback, the typical Seahorse medallion. Water resistance is 100 metres / 330 feet. 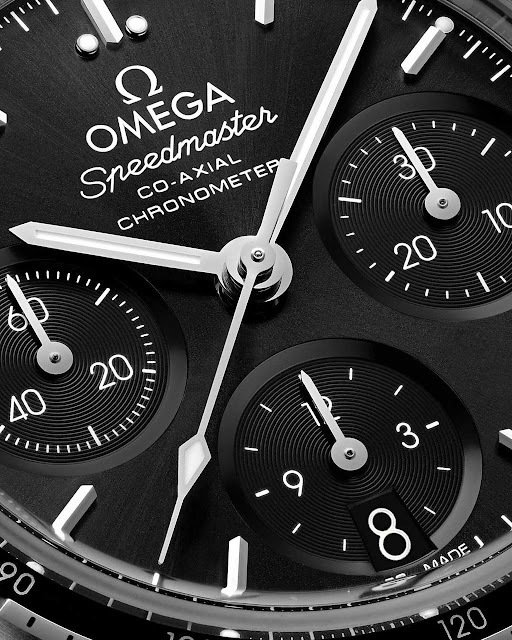 The black dial includes rhodium-plated indexes and hands, three recessed sub-dials and a date window at 6 o'clock. 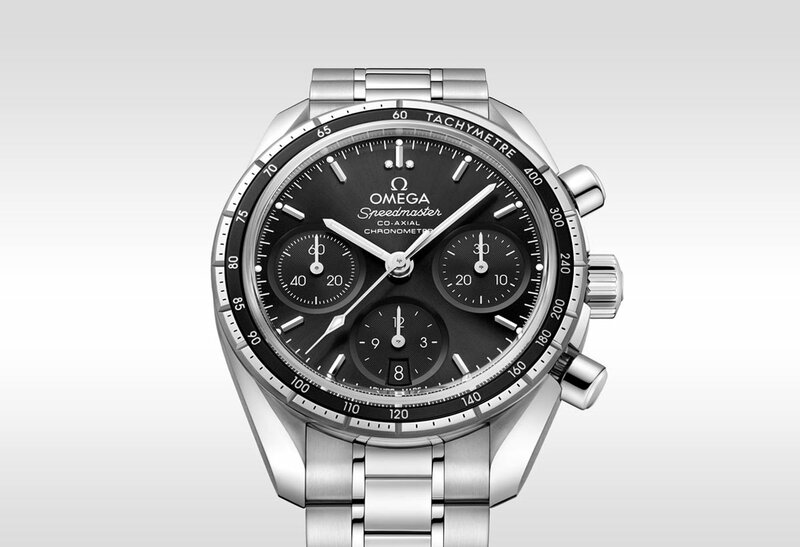 It is protected by a scratch-resistant sapphire crystal with anti-reflective treatment on both sides. 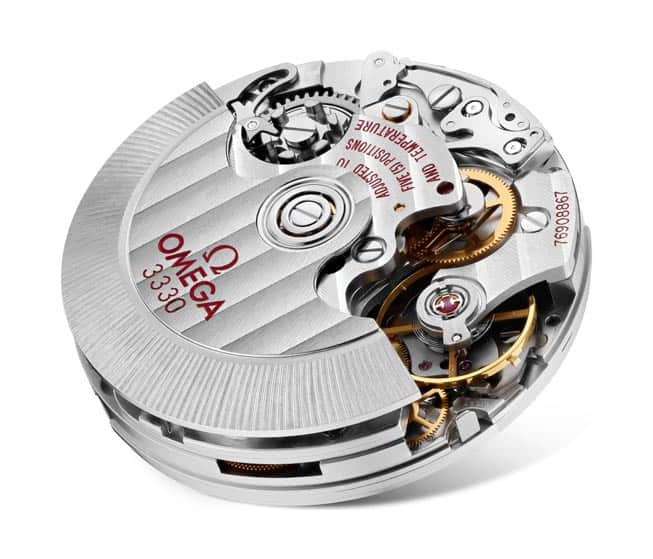 The new watch is driven by the Omega Co-Axial Calibre 3330, a COSC-certified self-winding chronograph movement with column-wheel mechanism, Co-Axial escapement, and free sprung-balance equipped with Si14 silicon balance spring. Not sure why one should buy this when the Moonwatch is available at the same price?! Omega Speedmaster 38 Co-Axial Chronograph Black. 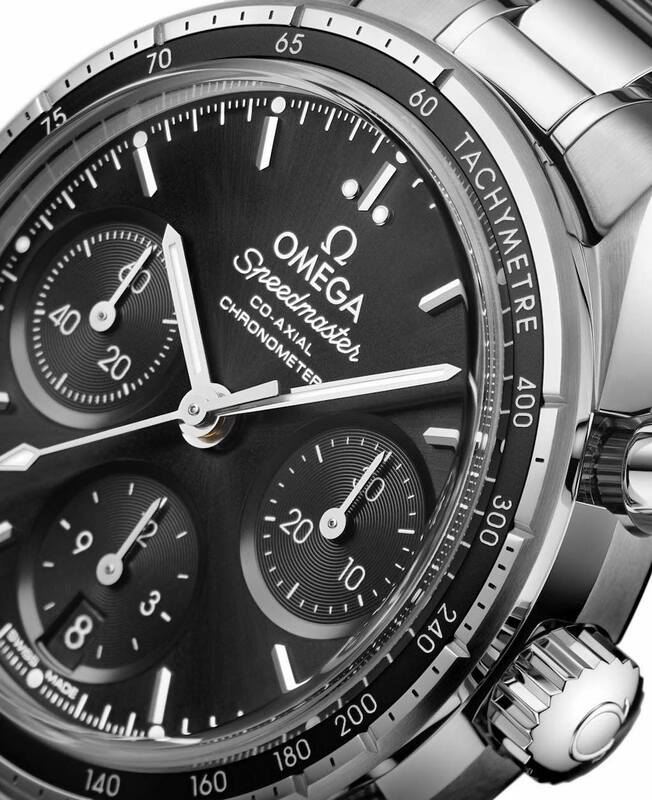 While retaining the look and heritage of Omega’s most famous chronograph, the new Speedmaster 38 Co-Axial Chronograph Black has several distinctive details. 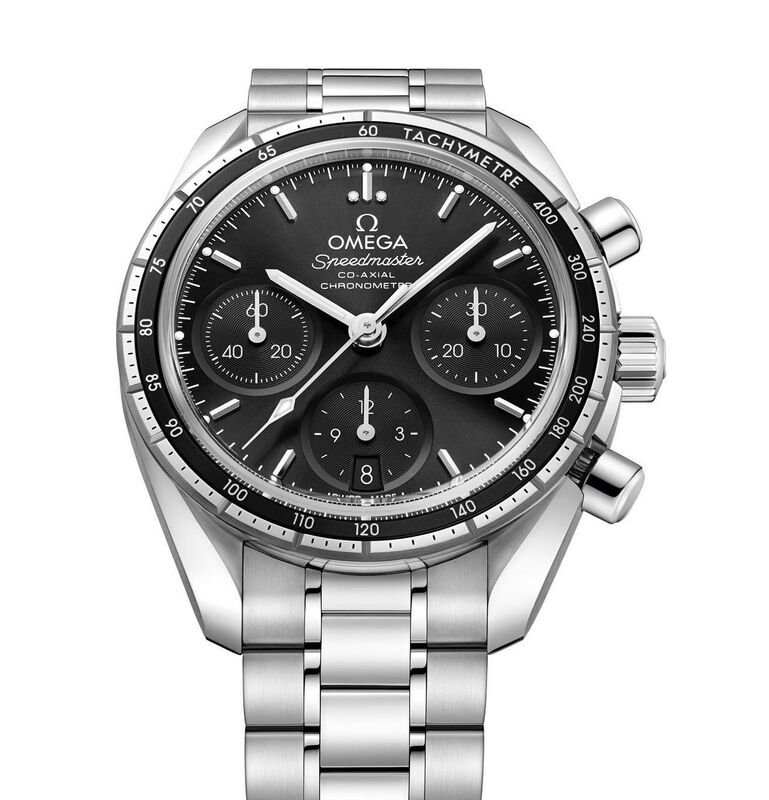 The Omega Speedmaster 38 Co-Axial Chronograph Black (ref. 324.30.38.50.01.001) has retail price of Euro 4.600,00 / US$ 4,900.